Classic toys and a classic 16-bit template, albeit with some modern touches. Licensed video games have a long history of missing the mark, and that’s as true today as it was decades back. However, there are always exceptions to the rule—and way back in the day, Codemasters’ Micro Machines was one of the first truly awesome adaptations. Released across various consoles in the early ‘90s, the top-down racer was not only a spot-on use of the miniature toy license, but it was also a really great game to boot. The graphics see a massive upgrade, but I’m getting a major Sega Genesis flashback here. Fast-forward to today: Codemasters and Chillingo have revived the mostly-dormant brand for a fresh mobile entry that recalls the fun of 25 years back. 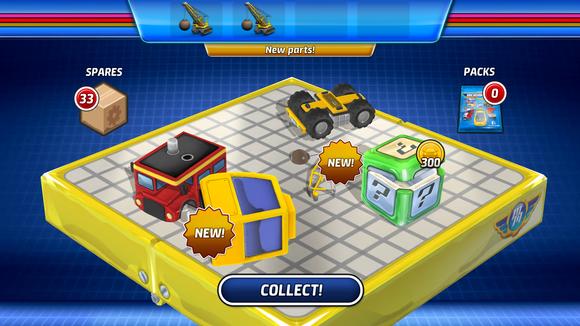 Micro Machines rolls up a handful of classic toy brands in one amusing free-to-play game, delivering a nostalgia blast that doesn’t require any form of payment. However, there are many different ways to spend in the game, and you’ll want to consider your options before splurging. The new Micro Machines isn’t a straight port of the classic original entry, although it keeps the very same premise. As before, you’re guiding these miniature cars, trucks, construction vehicles, and more through real-life environments that appear super-sized by comparison. And as you whip around a billiards table, across desks and textbooks, and around a splatter-filled kitchen table, those memories of the past games may flood back in. Hungry Hungry Hippos! Somewhere, somehow, Micro Machines will poke at your dormant childhood memories. Even if you didn’t play the old games—which is quite possible given the age and the wide range of players likely to download this—Micro Machines delivers solid fun. You’ll race against real online opponents in quick four-player circuit races, take down foes with silly weapons in a combat-centric battle mode, or attempt to make rivals eat your dust in the special elimination race events. Between the races, the power-up attacks, and the battle mode, Micro Machines comes off like a Mario Kart-like game, despite the change in camera perspective—and it’s a pretty good one, at that. The controls can feel a touch floaty or unresponsive at times, but for a free game, the production values are here and it provides entertaining online competition. I doubt that I’ll ever play long enough (or spend enough) to get to this point. And Micro Machines isn’t even the only classic franchise you’ll encounter here. 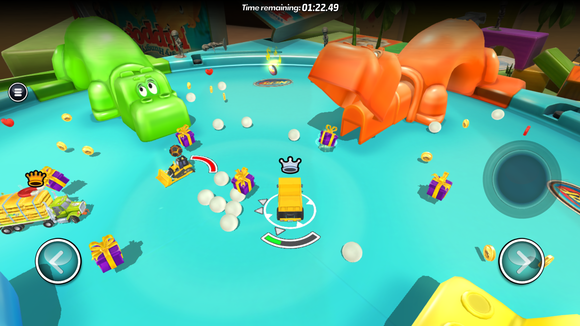 The battle arenas have a special NERF gun that overpowers foes, and one of those levels is set on a Hungry Hungry Hippos board with chomping cartoon beasts amidst the combat. Also, a brand new update adds G.I. 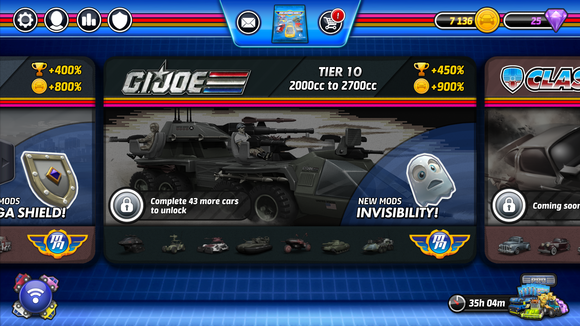 Joe vehicles to unlock and race, although there’s little chance you’ll encounter that content anytime soon unless you spend a heap of cash. 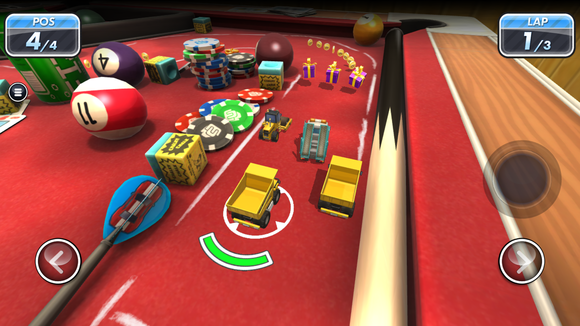 Micro Machines provides a lot of content to tap into, as well as ways to get ahead without real money, but the progression is still pretty slow unless you’re spending. As of now, you’ll find 70 different cars and 17 tracks to race on, and the biggest upside is that there’s no end-all, be-all energy meter or paywall that’ll stop you from playing at any point. You’ll always have the option to jump into an event. No matter what, you’ll always have something to play—but you can’t always choose for free. However, there are limits. For example, after you choose one of the three race types, you’ll have to wait 10 minutes (or alternatively pay some gems or watch a video ad) before you can pick the next event type. Otherwise, you can play a randomly-chosen event for free. Timers appear elsewhere, as well, such as when you use up all of your car upgrade tools, or when you’re adding a special ability to a car and thus can’t use it for upwards of 16 hours (and perhaps longer). Of course, you can spend gems in either case to speed things up. Happily, Micro Machines isn’t the kind of game that only offers its premium currency for real cash. You’ll earn gems, along with the more prevalent coins, pretty regularly for completing daily missions. 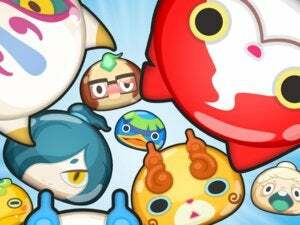 Additionally, it’s really worthwhile to join a club with other players, since they’ll often hand out daily gifts to each other, plus you’ll earn additional rewards simply for being in a club and furthering its weekly goals. And with or without club status, you can sometimes watch a video ad to boost your earnings after a race. 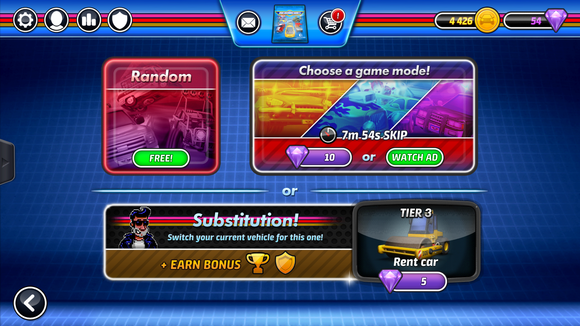 Each pack earns you car parts and sometimes coins, but you’ll get a lot of duplicates too. Even with all of those perks, however, it can be a laborious upward grind to unlock new vehicle tiers, which opens up new race tracks and speedier rides. Doing so requires that you build a number of previous cars from parts, which come from opening randomized car packs or receiving gifts, and the whole process is piecemeal and sluggish. 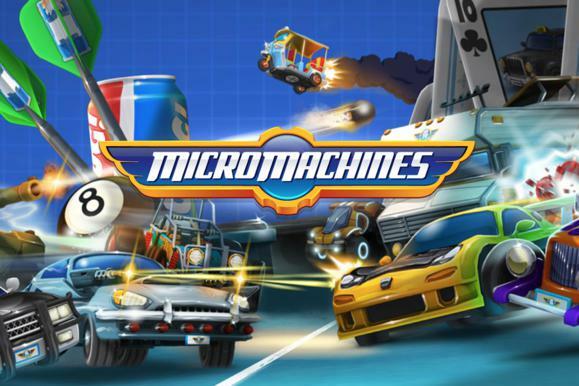 That’s not surprising, and as freemium games go, Micro Machines isn’t a harsh one at all. But it can be repetitive. Micro Machines sells big packs of coins and gems ranging from $1 to $100 apiece, but it’s most interesting paid offering is the VIP system. When you’re a VIP, you get a free daily parts pack to open, along with a 20-percent boost on points, coins, and club points. Unfortunately, being VIP is only temporary: it’s $4 for three days, ranging up to $13 for 30 days, but there’s no way to pay once and stay VIP forever. It helps with the grind, definitely, but how long are you willing to keep paying for VIP status to juice the experience? Between a weeklong VIP pass and a small bundle each of coins and gems, I ended up spending about $20 on Micro Machines in a span of a couple days. That helped me make some quick progress and unlock a new vehicle tier, but then all that extra currency was spent and I found myself making minimal progress again. Micro Machines is fun, but the progression boost isn’t massive or rewarding enough to warrant constant spending—and I wouldn’t recommend pouring a steady flow of money into the game. 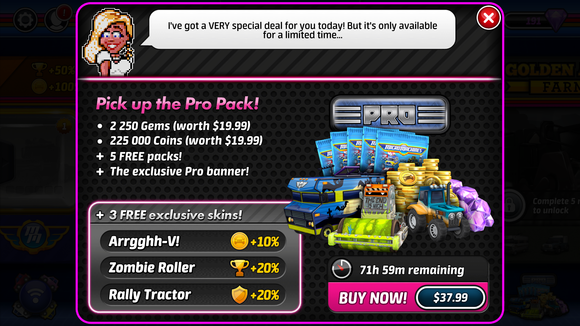 While many games offer $100 currency packs for big spenders, being prompted with a $38 bundle early on felt excessive. That’s especially true after finding out that Micro Machines is essentially a rejiggered free-to-play version of Codemasters’ 2014 PC and console game, Toybox Turbos, which you can snag on Steam for just $15 (no Mac version, sadly). In other words, you can get the full game or $15 on another platform, or potentitally pay much, much more for the iPhone game with some familiar brands attached. Yeah… it doesn’t feel so great in hindsight. Still, Micro Machines really is a strong little freebie racer, and if you can play gradually and resist the urge to spend, you may have a lot of free fun here. And if you find yourself playing a ton, consider a 30-day VIP pass to boost your early experience. Just try to avoid falling into the nickel-and-dime cycle of all the various freemium options here.